We are a Website development and Graphics Design Agency based in Cheltenham, Gloucestershire specialising in inspired innovative, creative Web and Graphic Designs. We do not sit around on bean bags gazing at our lava lamps, we like the pro-active hands on approach especially over a Cappuccino. Our design services start from a basic 1 page website design to advanced dynamic website design including CMS Websites in and around the Cotswolds Oxfordshire and Gloucestershire. 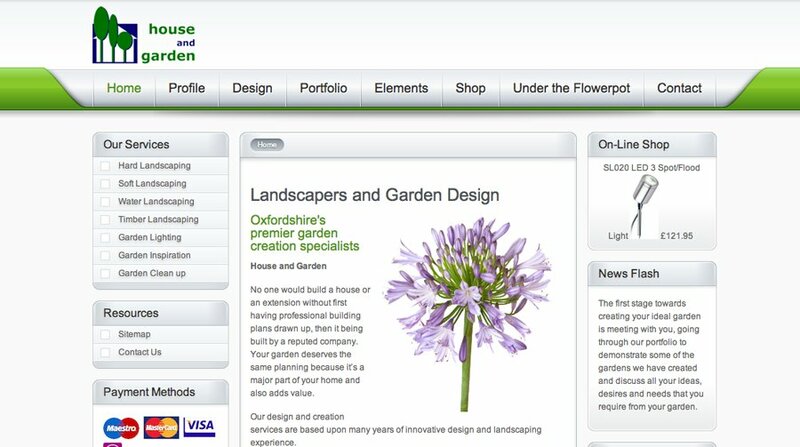 After great success with their website these garden designers and landscapers have decided to add ecommerce to their site.